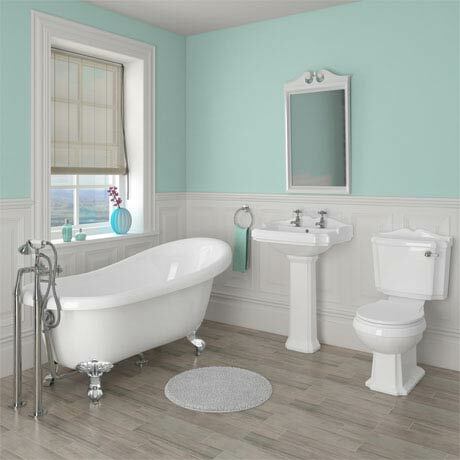 The Oxford Traditional Free Standing Roll Top Slipper Bathroom Suite. Evoking the classical style of a bygone era, yet manufactured to today's high exacting standards, the Oxford bathroom suite is perfect for providing a period look in any home. Enjoy the feeling of luxury with this classical free standing roll top slipper bath tub with stylish chrome ball and claw feet, suitable as a centre piece for any bathroom design.